Class of '77 Cross Country team members L to R: Jim Ackerman, Phil King, Andy Edgar, Coach Lee Smith, Randy Belsley, and Keith Krolak. 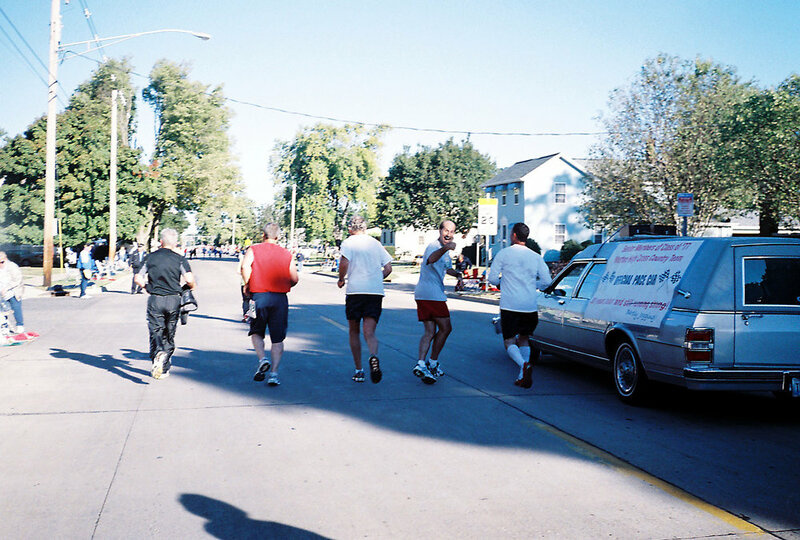 This photo taken the evening after running the 2012 Pumpkin Classic 10K run, celebrating their 35th year Class Reunion. 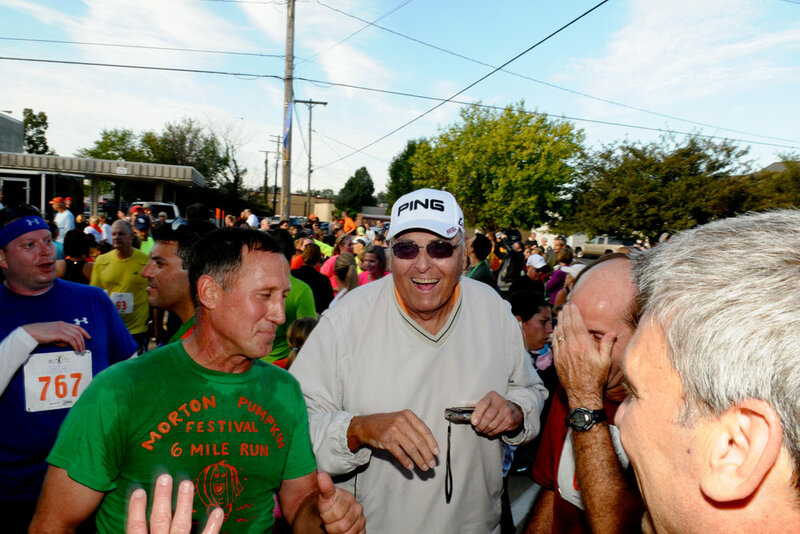 Members of the MHS Class of ’77 Cross Country team will be celebrating their 40th Class Reunion by running together in the Pumpkin Festival Classic 10K Race on Saturday, September 16. They’ve also participated in previous P Fest Classics, in 2007 and 2012, celebrating their 30th and 35th Class Reunions respectively. 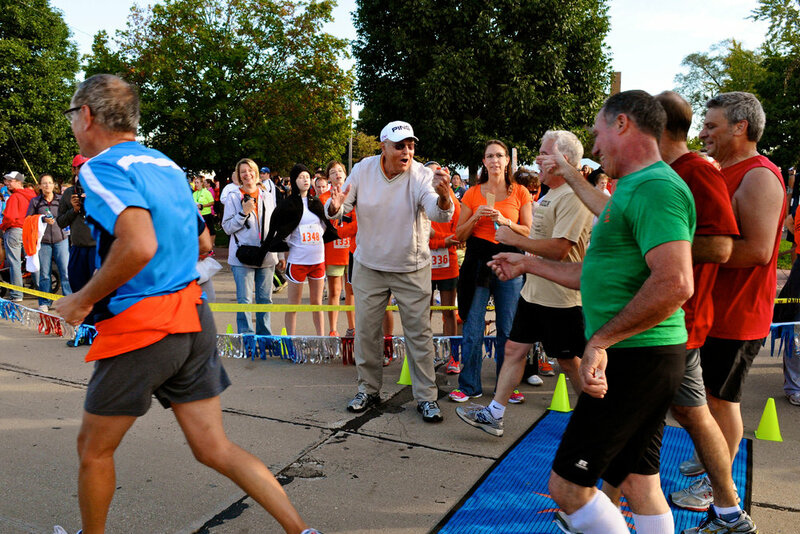 To surprise the Class of ’77 runners for the 2012 race, arrangements were made for their former coach, Lee Smith, with stopwatch in hand, to greet his former runners as they crossed the finish line. In February 2016, Coach Smith passed away in Florida after enjoying many wonderful retirement years with his wife, Mary, but not before making a positive impact on countless student athletes of his high school sports teams throughout his teaching and coaching career; 23 of which were at Morton High School. 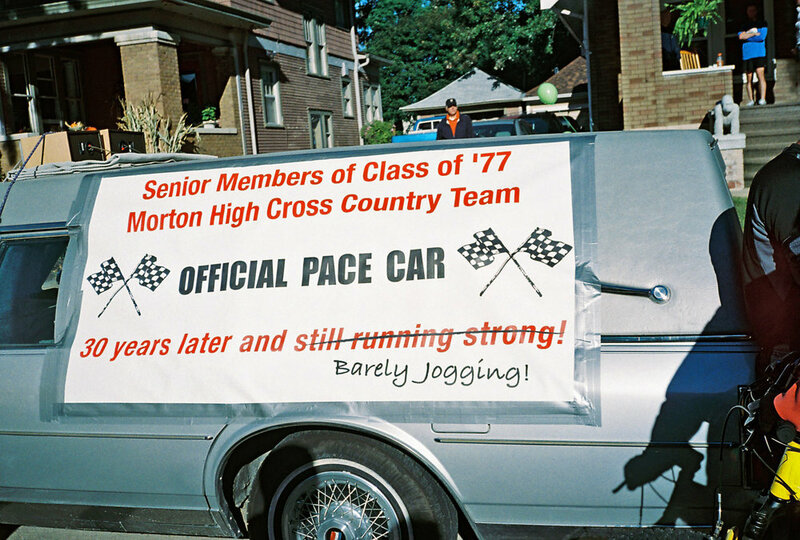 In memory of Coach Smith, this year the Class of ’77 Cross Country team members will be running the P Fest Classic as a fundraiser to support the MHS Cross Country Endowment Fund. The public is being asked, especially former student athletes of Coach Smith, to consider making a donation toward this endowment fund by going to http://www.cfmorton.org. 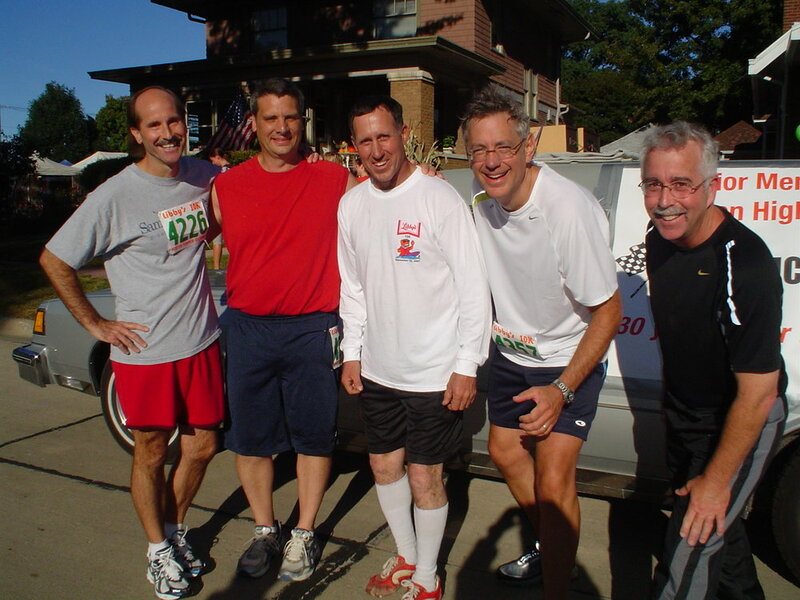 Members of the Class of ’77 Cross Country team are: Randy Belsley, Jim Ackerman, Keith Krolak, Phil King, and Andy Edgar. A donation of $40 for the 40th class reunion is suggested, but a donation of any amount will be greatly appreciated. Memorials were requested to be made to the MHS Cross Country Endowment Fund, a component fund of the Morton Community Foundation. 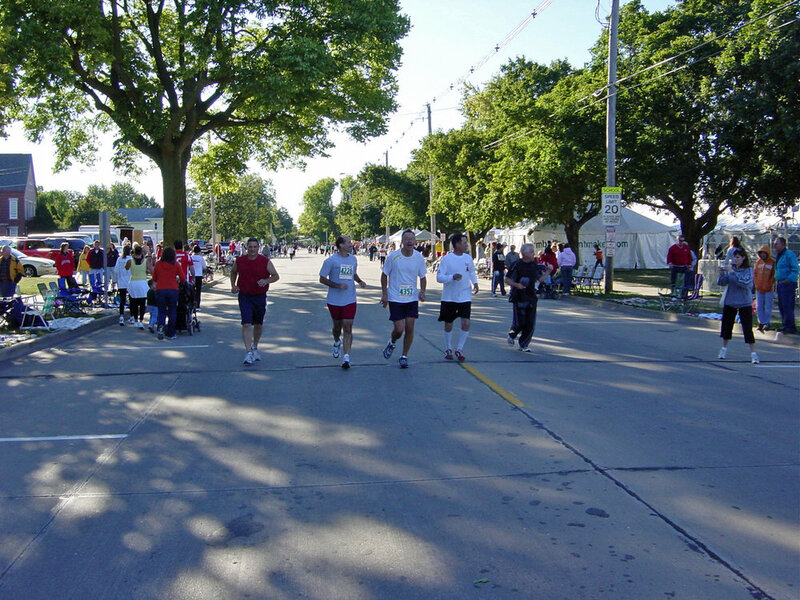 The fund provides annual grants to the MHS Boys and Girls Cross Country program, to be used for the purchase of uniforms, equipment; defraying the costs of participating in meets, and/or competitions; providing scholarships for worthy Cross Country runners who are unable to fund their participation in cross Country activities; and other Cross Country activities.